This is the remarkable moment scores of Honduran migrants sprinted across the Mexican border into the USA on Thursday with border patrol agents in pursuit. 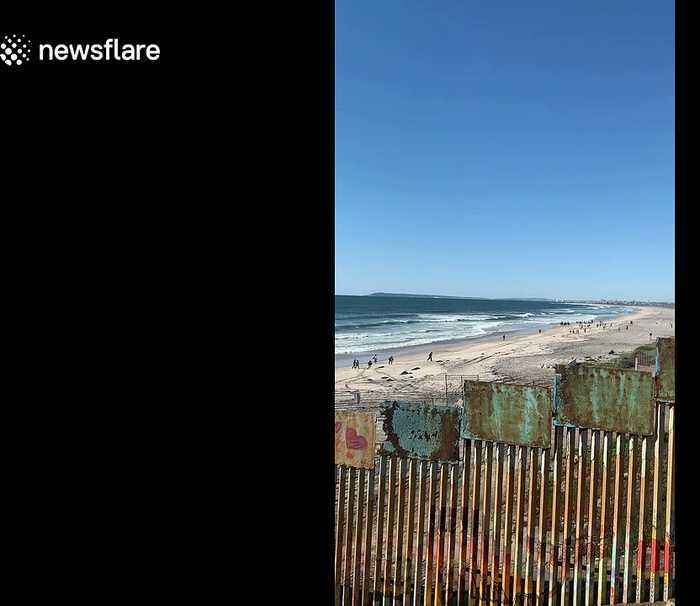 The astonishing clip, which was filmed from the Mexican side of the border in Tijuana, shows the migrants running down the beach into San Diego County, California as border patrol vehicles try to round them up. According to the filmer, the migrants broke metal bars in the border fence to make the crossing. She said she knew they were Honduran because she spoke to some of the group prior to the crossing.